The freedom to explore. The challenge to learn. The structure to succeed. Our academics are designed to support all those skills. 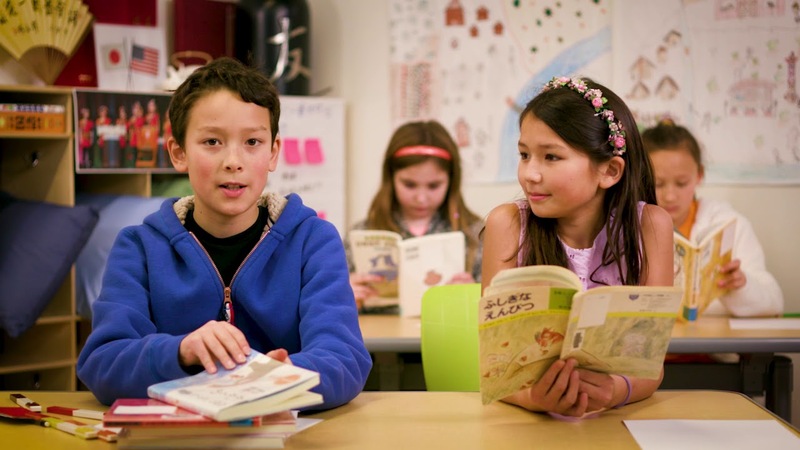 Language immersion is the overarching umbrella of a TIS education, with all homeroom lessons conducted in Chinese, Japanese or Spanish with teachers from around the world. Students study a challenging curriculum of math, science and social studies while learning to communicate in a second language and deriving a global perspective through daily exposure to different cultures. 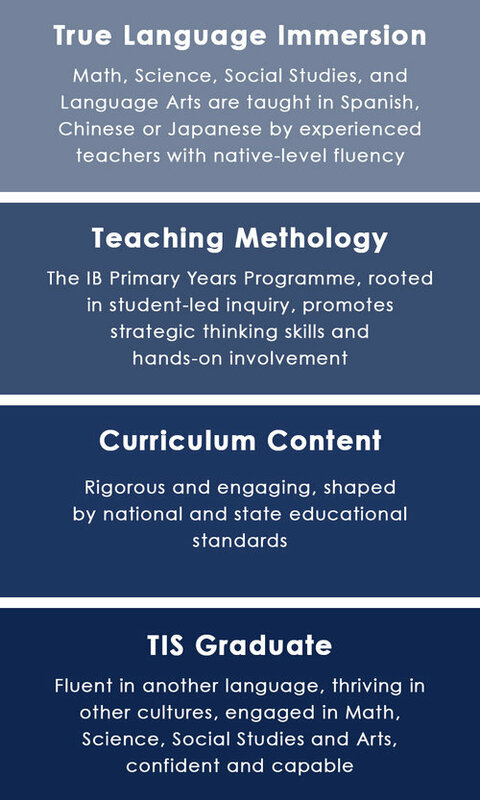 Our teaching methodology stems from the International Baccalaureate’s Primary Years Programme (PYP) and is rooted in student-led inquiry. In a PYP class, children work collaboratively to answer their own questions about the unit’s topic. They research, experiment, and problem solve their way through age-appropriate activities set up by the teacher. Unlike more conventional schooling, a PYP education promotes strategic thinking skills and hands-on engagement, rather than memorization and passive learning. The content of our curriculum is shaped by national and state educational standards. Learning a challenging curriculum—aligned with these standards—through the Primary Years Programme ensures that our students gain essential knowledge while becoming independent thinkers and problem solvers. Learning the curriculum in a second language ensures that they are also prepared to take their place amongst a growing global community. New families may worry about how they will help their child with homework if they don’t speak the language. TIS parents will tell you that because they don’t speak the language, their children become resourceful and independent learners. The parents’ responsibility is to provide time, place and encouragement—and the rest is the student’s responsibility. Watch this short video of a 5th grade parent explaining what she does when her daughter has homework trouble.